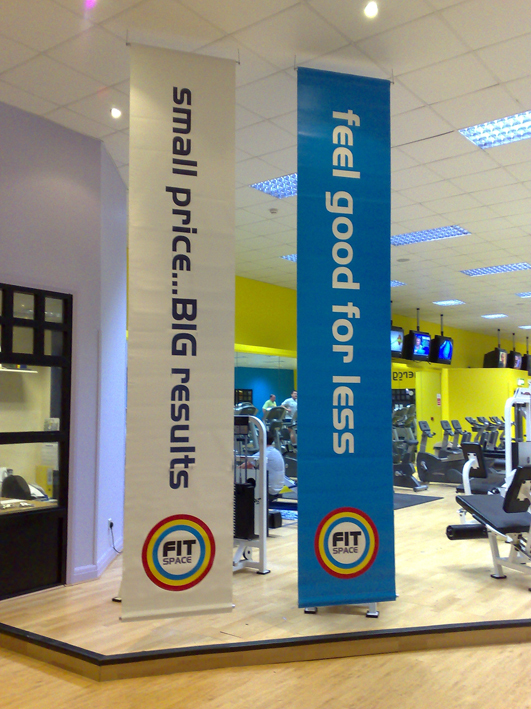 Hanging banners suspended from the ceiling are a great way to maximise your advertising. 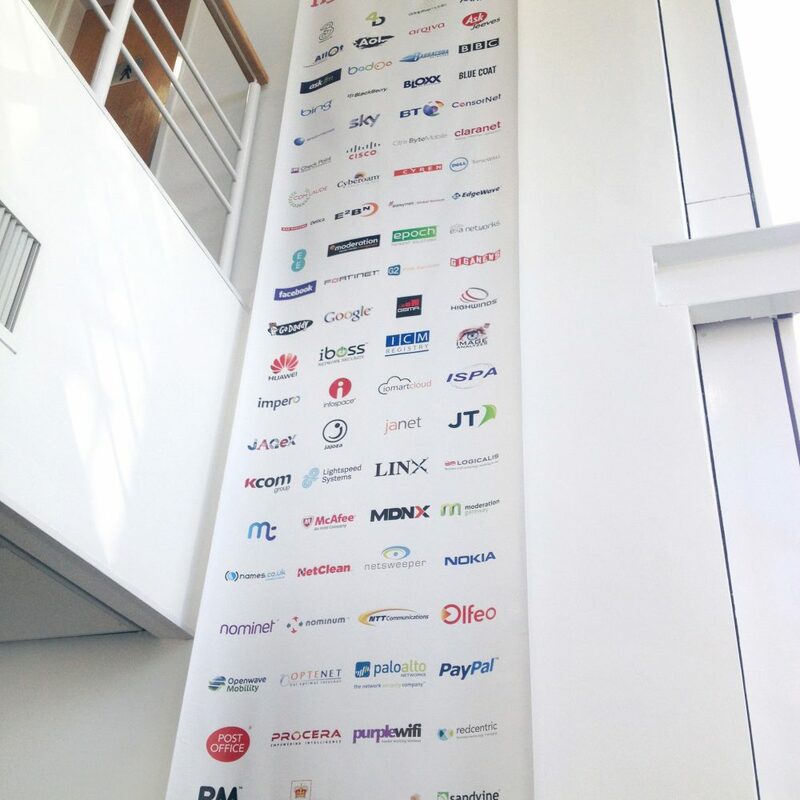 Our hanging banners are bespoke products so please contact us for more information. 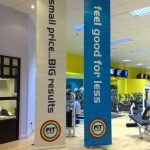 For wire tension hanging banner systems, please contact us for more information. 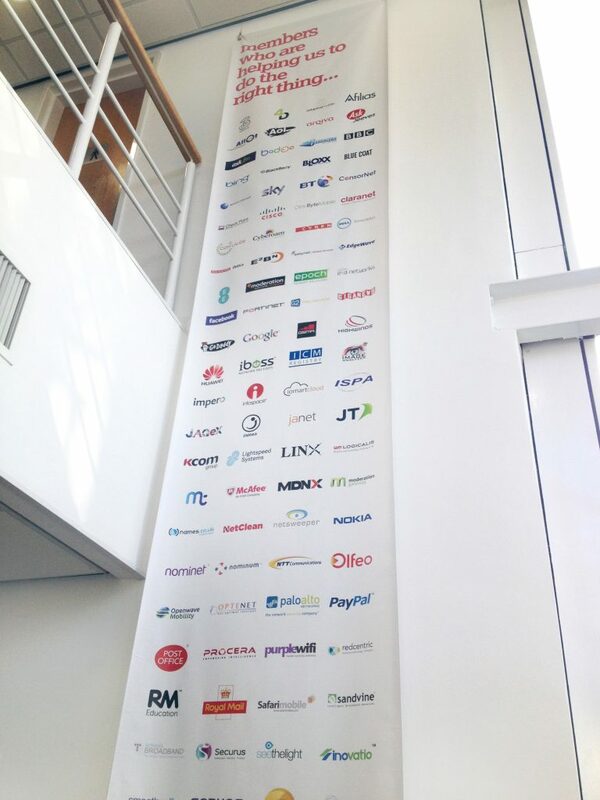 Call us on Freephone 0800 083 0260 or 01480 456 689 to discuss your requirements. 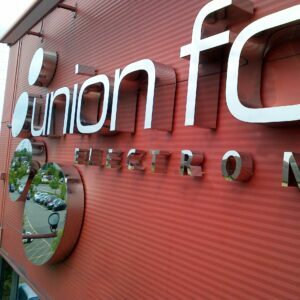 Alternatively you can email us directly by clicking here. 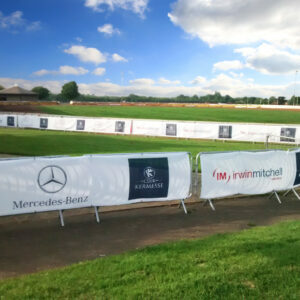 Heras fence banners are a great way to really maximise advertising opportunities, not only can they really push your companies brand awareness, but our airmesh heras fencing can also double as a great screening material for construction and scaffolding. 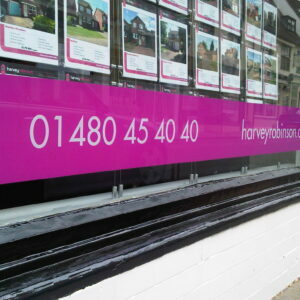 Window graphics are a great way to promote your brand, adhere to health and safety regulations and even increase privacy. Self adhesive vinyls come in various forms and are available to suit every budget. 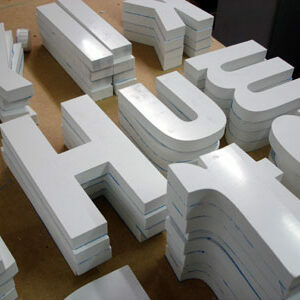 PVC Foam board (Foamex) printing. Available in sheet sizes – 1mm, 2mm, 3mm, 4mm, 5mm, 10mm or 18mm. PVC Foam lasts up to two years, will not lose its shape or rot like timber and may be drilled and cut quite easily.